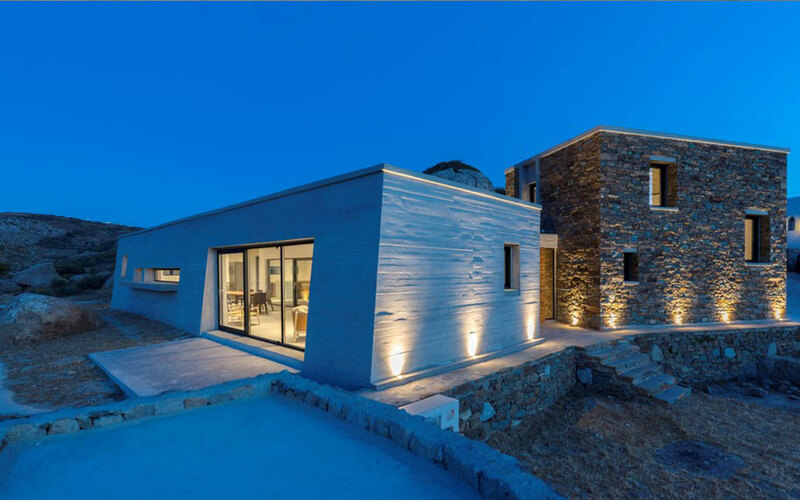 Architect Aristides Dallas has designed a residential building among the unusual rocks of Volakas, a village full of character in what is perhaps the most unique setting on the island of Tinos. 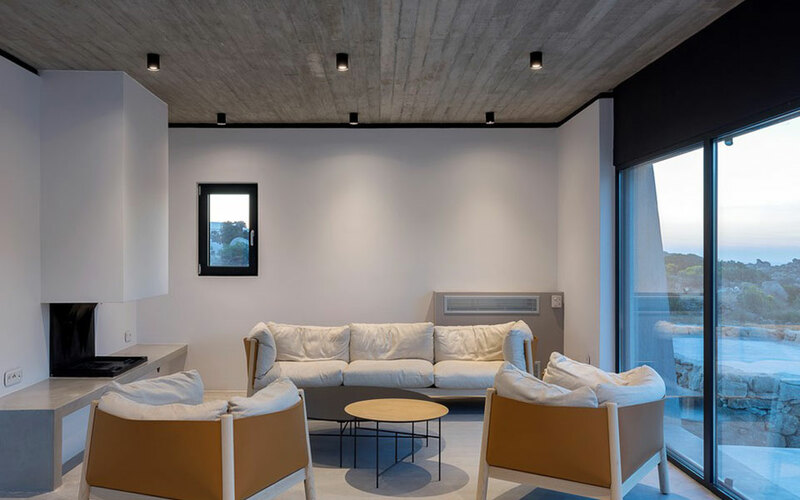 It is a home that is unique not only within the Cyclades, but also in a more global context. 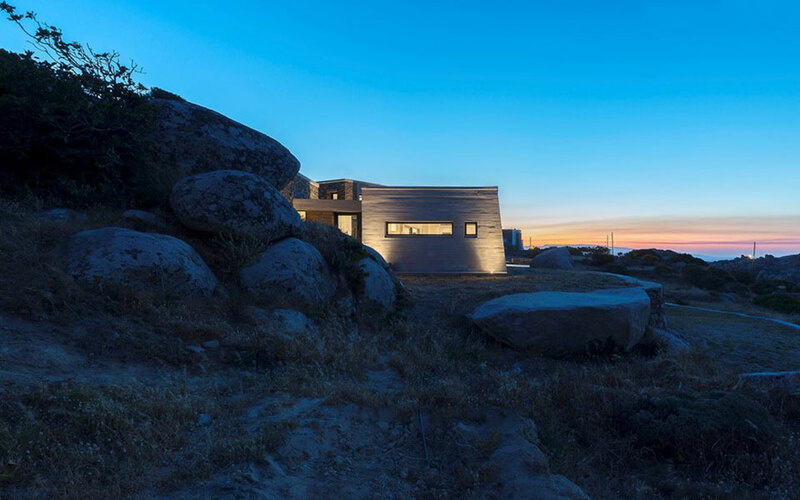 Designing a building that would constitute an extension of, or a complementary element to, the overall image of Volakas, with its curious scattered round boulders, is a real challenge. 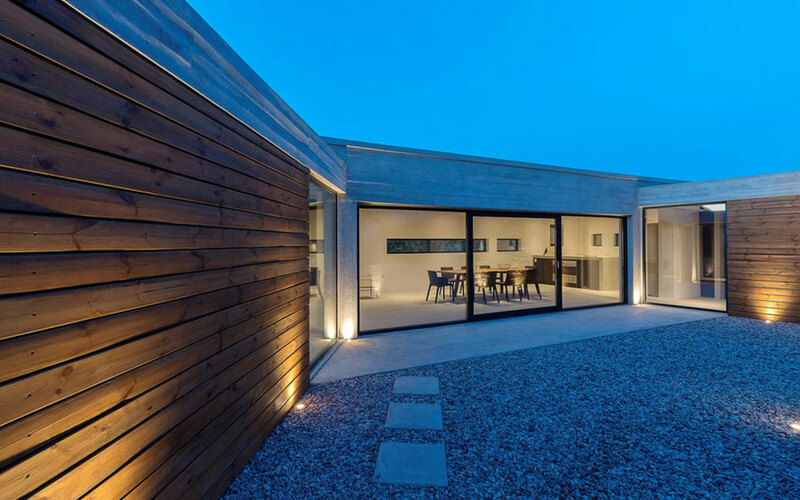 Respecting this landscape, three separate volumes were designed around a central patio. 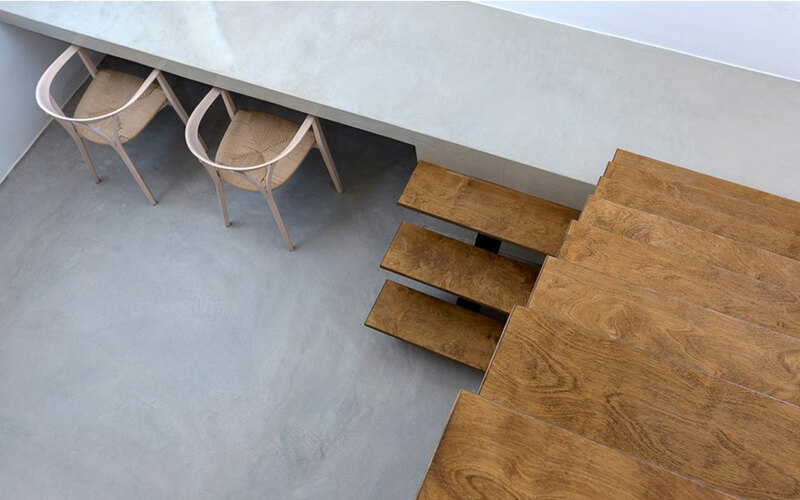 These volumes house the main functions of the residence, and differ in height, dimensions, and materials. The principal feature of these volumes is that no organized design – site concept was followed for their construction but instead, each part has been freely set in the space, in an almost anarchic way, as if it has fallen from the sky – which is exactly the impression given by the boulders of Volakas. Equally characteristic is the northern face of the residential structure, where an architectural mass of unpainted reinforced concrete creates a ‘boundary’, an artificial protection from the northern wind. 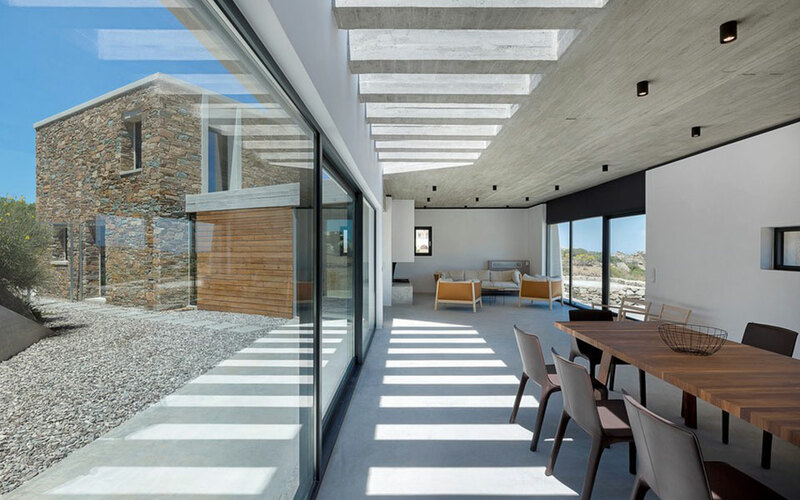 The selection of this material makes the house seem also like a rock, while in time, when the colorful concrete aggregates emerge to the surface, it will be totally integrated with the landscape. On the other hand, the selection of its shape, an oblong rectangle, manages to give prominence to the rocks themselves, enhancing their sphericity, setting them in direct confrontation with its own linearity. In the internal part, the hard envelope “breaks” and becomes “transparent”, allowing the interior to become one with the exterior part. 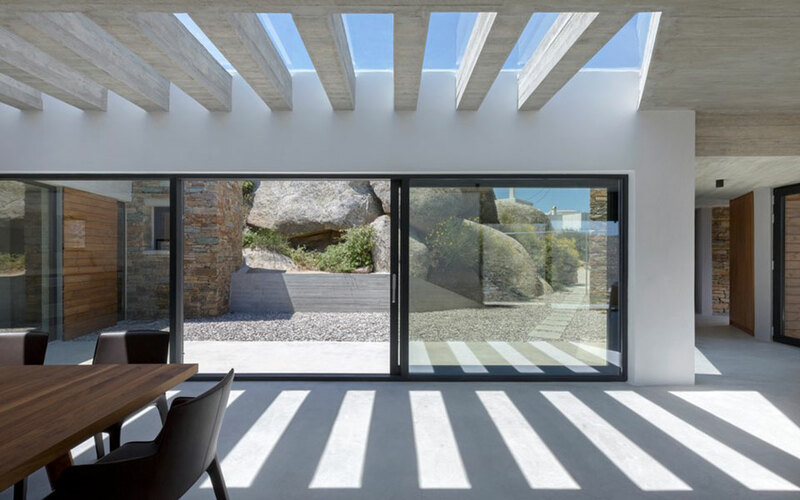 In this way, the limitations of the “inside” and the “outside” become less and less apparent, while the interior space extends until the rock cluster, in the back of the land towards the village. Contractors: Aegean Construction & Development Ltd.